We are heading to the Centrifuge Church Camp where teens will learn to keep Church at the center of their lives. I am praying that we will all do great and come back with a worthy attitude one of gracioucness and feeling the hand of God. I have 4 teenagers going amongs a group of 20+ from our church and more than 500 will attend. I will be attending with them and will not be on my blog til Saturday. This picture was taken of my nephew. He was attempting to get used to his new sandals. He has his drink (or someones) and his toys but still stumbling on his shoes. U Printing is sponsoring a fun contest where someone could win $250 for the winning summer picture and a 16x20 gallery wrapped canvas print. UPrinting.com is a leading online provider of business cards, color brochures and mailing postcards. Please leave a comment and let me know what you are doing this summer. I would also love it if you were to head over to the sponsor of this great contest U Printing and take a look around. This week has been quite crazy with all the packing, etc... for the upcoming trip. Q what do you call cheese that is not yours? What is the largest burden currently weighing you down? Do you have any family vacations planned this summer? If so, where? What is one thing you must do before you go to bed each night? Where is the last place you went? With fathers day directly around the corner and my dad being one of the most frugal men I knew I want to tell you about him this frugal friday. My dad taught me how to use things when I had nothing else to use and make do with what I had. He never thought of money as a object but as something you had, gave and shared with others when they were in need. He was the man who introduced me to the resale/antique world and taught me what things were truly worth. For these and so many more in my world my dad deserves the most frugal award. The blog 3 kids n us hosting a giveaway for an I Spy A to Z prize package. I think that the I Spy series are so fun for kids and adults alike. If you want to enter go over to here before July 15, 2009. Do you hate carrying those large diaper bags around? Would you love to have all your diaper changing supplies in the same area that was easy to reach? The Baggino maybe what you have been longing for. The Baggino is a stylish looking bag that functions as an easy take along diaper bag or apron. Baggino makes several different products for babies and moms use. These products include insulated bottle bag, learners bibs, a combination diaper bag and changing belt and a Junior diaper bag and changing belt. Each of these great products have their amenities. The insulated bottle bag is just what you need when going out for either a long or short trip. The Baggino insulated bottle bag keeps the bottle hot or cold for up to 4 hours. The Baggino insulated bottle bag features a strap that goes great on a stroller handle, around your wrist or even attaches to the Baggino Diaper bag and changing belt. The baggino learning bib is another great asset for either a toddler starting to feed their selves or for the infant just starting to eat. With the long sleeve and and the extra long front the bib will create nearly everywhere that the food may land on the child. Leaving their clothes fresh without need of being changed after the child is done eating. The Baginno learning bib comes in one size fits all and easily goes on with secure Velcro closures and soft secure cuffs on the sleeves. When the child outgrows the need to use as a bib the baggino learning bib may be used as an art smock. Created of soft terry cloth and may be machine washed. The Baggino Diaper Bag n Changing Belt comes in to different sizes (1) the combination and (2) the junior. Here the larger size the combination is shown. The messenger style bag quickly changes from bag to a hands free baby changing tool belt. Oh the ease of having everything right at hand to change that diaper. The diaper bag does not sit on the floor since it straps around your waist. This makes great when changing the little one in restrooms of gas stations or restaurants or on the airplane when you travel. Attaches easily to stroller to easily carry it around as well. The goal of Baggino is to make the daily life of mom and baby easier. For parents who travel with their child the simple jobs of changing diapers or having a bottle ready are not always easy. That is why Baggino has created items just for the use of parents that are on the go with their baby. We received the Junior baggino and is the perfect size for my daughter to take with her inside the grocery store when staying or town or to travel with when she comes to visit me (grandma). Buy: you can order directly off the Baggino website if you would love to purchase a Baggino product to make your life easier. This week was quite busy. 3.Life in a rush is like eating an entire box of chocolate liqueurs at one time. 5. I have yet to hear a man ask for advice on how to combine driving safely and asking for instrucitons. 6. It is impossible to think of any good meal, no matter how plain or elegant, without meat or potato in it. 7. And as for the weekend, tonight I'm looking forward to having all ready to go to camp, tomorrow my plans include visiting with granddaughter, daughter, and son in law with party in store for June birthdays and Sunday, I want to be ready to go to camp! These are pictures taken by my daughter, son in law and other daughter including my granddaughter who only modeled. Pictures were taken at the lake where all enjoyed their selves. This is part of my beautiful life. 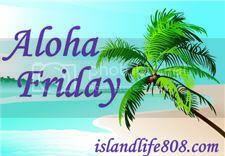 If you’d like to participate, just post your own question on your blog and leave your link here on an Island Life blog. What is the one thing that we should not forget to take with us? Many of you know that I love tees that have super cute sayings. I have found yet another great company that sells tees for tots that have great sayings. Snugfits has even more great and cute messages to share. Many of the messages that Snugfits have I have never seen before. Really super cute and adorable messages that fit their personality and at times makes even parents and grandparents proud. My grandmother was a democrat and I heard lots of reasoning why I should be so when I was at the age to vote I decided that I too would be a democrat. Now there are many family members of mine who are republicans so of course there is a fun rivalry going on. So when I saw this cute little onesie how could I resist? After all she is my little princess so why not do some bragging LOL. Perhaps you want the Snugfits little tee or onesie to express the little ones personality. This little tee shows exactly the job qualifications of being a baby and it is so super cute. To purchase your precious little one an adorable artistic onesie or tee with a great message visit the Snugfits website. Cream butter and sugar. Add eggs. Sift flour, baking powder, and salt in. Pour in three 9" pans. Bake at 350 degrees for 25 or 30 minutes. I was doing some window shopping and came upon so amazing products that I would love to have had when I was raising my children. This tiny tub by puj that would fit inside of a sink would have been great while traveling. It seems as safe as those plastic bathtubs that many of us mothers use to wash our newborns but is so much safer and smaller. The puj tub keeps the tiny little bundle in a little spot of security. Puj not only has created the sweetest little tub for the newest babies but also a wonderful comfortable sling that cradles the tiny baby to their momma. Baby wearing creates a bond between a mommy and baby that will last a lifetime. The puj sling fosters an unbreakable bond by making the security of both the ease and knowledge that the baby is safe and mama is able to carry the baby softly around. Puj also creates adorable soft shoes for the new babies tiny feet. Available in a variety of sizes and oh so cute. Peru Puppets are a bunch of cuddly critters and a few people that have a goal to restore balance and peace to the world. Ironically, the critters and people are not real but great finger puppets created by those with hearts of gold. The hope is that the little finger puppets known as the Peru Puppets from Lima, Peru to the United States. Let me tell you a bit about the country named as Peru. Peru is one of Latin America's economic success stories. The minority in the country are the elite allowing the majority of the country to stay poor surviving on approximately $1.25 a day. Enters the wisdom of a nun named Kristine. Sister Kristine has put 2 workshops that employ disadvantaged women in Lima, paying the far more than what they would have made if they were left to fend for their selves. You can read the story of how Sister Kristine has helped these ladies through selling Peruvian Puppets. You can also help by purchasing one of these super cute finger puppets for yourself or for someone you love. A pair of Peruvian dolls that will introduce your child to a new culture that they may not be aware of. This is one of the prettiest ones in the Peru Puppets collection. I love the splash of blue and pink mixing together in this pretty mother finger puppet. Please visit the Peru Puppets website and see what they have to offer you. There are so many predators out there to hurt our children any way that can help us protect our children I welcome. The blog Peanut Butter and Smelly Dad is hosting a giveaway for PG Key. The PG Key will help us protect our children with simple ease. Enter by July 3 for a chance to win. Wonderful giveaway for a flip ultra camera is being hosted by 3 kids n us. What a great great prize to win. You can enter by heading over to the 3 kids n us website. Enter before June 30 for chance to win. Kid Konserve is attempting to do their part of conservation on this great earth of ours by creating great products for picnics and outings that can be reused instead of trashed. All to often we seem to take brown bag lunches, sandwiches in wax paper, or little tins of pudding out on a picnic only to leave trash behind as we travel. This is primarily what rooms my children would work in and I believe will help me and my teens out alot. Shell Dransart is a wonderful artist who grew up in a wonderful atmosphere of Ojai Valley of Southern California. Shell enjoys traveling, having fun and learning new activities with her husband and family. Shell's concentration in art work is in watercolor however other gendres such as pastel, pen and in, and pencil are often used. I remember my days back in art appreciation class in junior college Oh I loved to see great art work Anytime there was a art display you would find me checking it out. I loved Shell Dransart art work in her wonderful cards and I am also loving have the ability to share these with you. 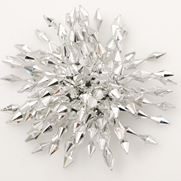 The WildFlower Studio and the creations of Shell Dransart has what you are looking for. Buy: You can order these whimsical creative cards directly off of the WildFlower Studios website. The great Baby Dipper Bowl and Spoon Set may forever be known as a moms helper on my blog. A mother must learn to budget many things from the time their child is an infant through the time they are fully grown. I believe anything that can make a mothers job easier is a product that a mother definitely needs. The baby dipper bowl is specially shaped so that feeding the little one is made even easier. The triangular shaped bowl enables one hand feeding for infants and makes self feeding easier for toddlers. Everyone who has ever fed an infant knows that it is not always an easy job. They seem to want to grab the spoon no matter what you do. So if you have a free hand to use the job of feeding the infant becomes easier. The non slip base is great because the bowl will stay put so that the toddler who is learning to feed their self will not have to worry about the dish running away from them. The Baby Dipper Bowl makes the easy of scooping food into their own mouth much easier and makes for an easy lesson learned and builds self esteem in even the littlest one. The contoured interior allows the ease of scooping because it is an uphill down hill type of exercise where a spoon can scoop the food that is being eaten with ease. The transparent sides of the Baby Dipper bowl allows you to see exactly how much food is being eaten by the child. All of the bowl amenities makes the Baby Dipper Bowl and Spoon the perfect feeding set. I know our little one has loved her set and now your little one can have a set of their own as well. The makers of the Baby Dipper Bowl and Spoon set want to offer one of Annies Home readers a set of their own. Contest starts now and will run through July 8, 2009. Please remember that extra entries must be in own comment and that you must have email on blog or in comment. Good Luck and have fun. There is a lot of effort going into creating a greener atmosphere for our earth. Do you ever think about all the scraps of papers, stationary and greeting cards that are tossed out after a while? Let me share with you a greeting card company that is striving to make a greener earth in all that they do as well. My Good Greetings Cards are all created on 100% recycled, carbon neutral paper. That means that the beautiful custom photo cards, invitations and stationary that My Good Greetings create are great for the receiver and the earth. I live near the Shawnee National Forest and let me tell you that the one thing that I do not want to disappear are all the beautiful trees in that beautiful forest. The Forest Stewardship Council (FSC) has certified that the My Good Greetings Cards are striving to help protect those forest by using recyclable goods. You can feel great about sending a greeting card created by My Good Greetings Cards because not only will the recipient be delighted but you will know in your heart that you made another environmental choice to protect the world that you live in. Whether it is a 4th of July party invitation that you need to send so that others will know what an exciting time awaits them. or you need a baby announcement to share with all the great news of a new arrival in your life. My Good greetings Cards can help you with these and many more. Just head over to the My Good Greetings Cards website and check it out. This is a picture taken a few summers ago of the two children who will be taking off for college this year. Oh how time seems to fly by I think this picture was taken about 3 years ago when talk of going away to college just started Now they are ready to go off and use their own wings to fly in the world that they create. Yes this mommy is a bit scared but yes I know that they can do it. After all I raised these children to do all that they can do. It's summer time, it's summer time, a time to have fun a time to have style. If you are looking for more style in your summer wardrobe you need to check out the Popits style of shoes. Yes, they are stylish, yes they are fun, yes they are just what you may be looking for. 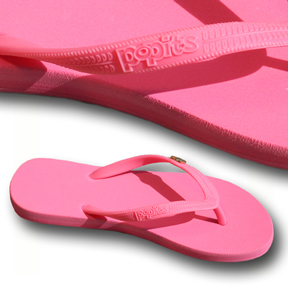 Buy: You can design your own Popits flip flops for you or someone you love by going to the Popits website and choosing what color of flip flop you would want and then the Popits charm to go with it. Perhaps while you are there you should check out the cool Popits hats to go along with the terrifically cute flip flops for Popits you will be sporting. Anyone who has grown up around a garden or farm knows the name of Burpee. I grew up in rural central Illinois where gardens and farms are everywhere. My father loved burpee because he said he could trust it. I can remember as a young child helping my father plant the garden and him telling me that Burpee was like a trusted friend you could always trust on. As I grew up I can remember hearing this story several repeated times. Burpee to me means beautiful flowers and vegetables. 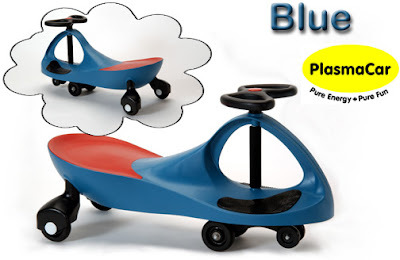 Oh what wonderful childhood and adult memories I have with Burpee. Burpee would love to offer 5 of Annies Home readers a special surprise. No I do not know what it is so please do not ask. After all it is a surprise LOL. To enter you must: Join the Burpee email list.